Now that the weather has warmed up, it was time to take off the heavy comforter off of the bed. I also wanted the it to look a little more casual. I changed out the beige comforter and pillow cases for white ones. Hmmm, now the bed would look better with a white bedskirt. I also replaced the birdcage with a distressed urn with flowers. I love this antique key I found on ebay. I found this pillow at HomeGoods. My daughter and husband had some trials and tribulation on their journey to California, but they arrived safely, nonetheless. It took them three long days of driving, two of which involved long detours. They spent the next few days going to the dmv, taking the train to work, buying things that she needed and getting her settled. Jess' 15 boxes finally arrived on Wednesday and she was able to unpack half of them by the time Tim left on Thursday....which was another ordeal! Here's the short version: He arrived at the gate with 10 minutes to spare, boarded the plane, then de-boarded the plane because all planes going to Houston were stopped. A few hours later they were able to take off, only to have to circle for almost an hour over Houston because of wind shear and the long line of planes that had been delayed. Once on the ground, they had to wait another few hours to wait for the flight crew who were delayed on another flight. John Stamos who was flying to Alabama was stuck at the same gate, as well. His flight was finally able to take off and he arrived in Charlotte at 3 am, 6 hours after the original time he was supposed to land. Yes, I had to pick him up! That wasn't the end of it, he called me when he took off and being half asleep, I reset the alarm clock for the wrong time and he had to wait 40 minutes for me to pick him up! This was all due to a thunderstorm in Houston! Ok, so there was no short version! I am glad to have him home, but missing my daughter already! I love that pillow! All your changes are wonderful. The pillow is perfect for your space. It's always fun to change your look with the seasons. Glad your husband is home safe and sound. Pam, your bedroom looks so pretty! I love the summer look. Great find on the key and pillow! I'm glad that everything worked out ok with your daughter's move. It sounds like a crazy trip for your husband! Love the changes, and I really love that new pillow from Home Goods too! Wow! That was quite an ordeal! The things we do for our children. LOL! I hope all will go better for her soon. Thanks for the update! I love your Spring-ified bedroom Pam and I think that Home Goods pillow is beyond gorgeous! Sounds like you guys are going to need a week to recover from the craziness! I love your white bedding. It makes the room look very soft and inviting. Sorry to hear about your husband's flight. That sounded like the trip from hell, but the important part is he made it back in one piece! 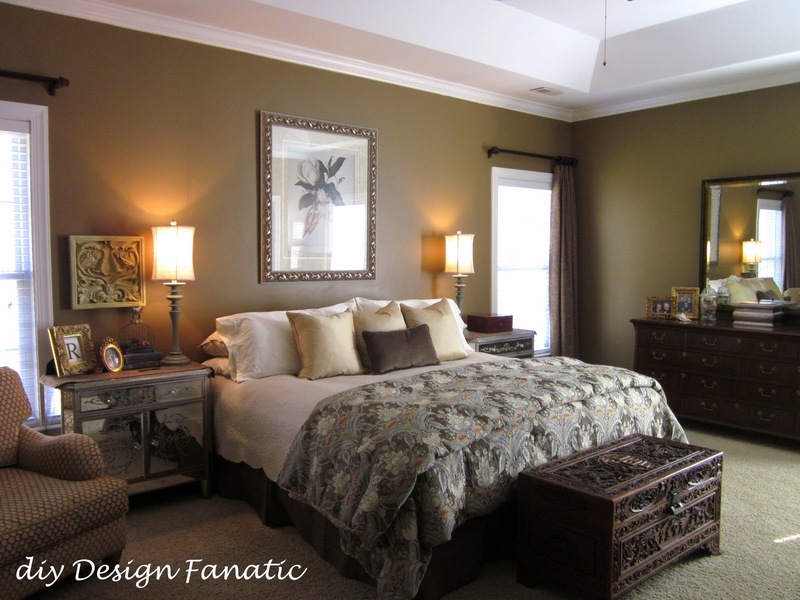 Pam your bedroom looks so great ! Especially the pillow ! WANT IT ! The changes a perfect for Spring and Summer. The pillow was quite a nice find! Hi Pam! Oh, your white bed linens are so lovely! Your entire bedroom is so pretty. Love your beautiful bedroom, Pam. Thanks for joining the party.